A R Rahman to do an Indo-Japanese movie with Jackie Chan and Mohanlal. The unique Tri -Combo unite for Indo-Japanese project “Nairsan”. Mohanlal, one of India’s greatest actors of all time, is joining hands with martial arts superstar Jackie Chan in the Indo-Japanese period cinema “Nairsan”. 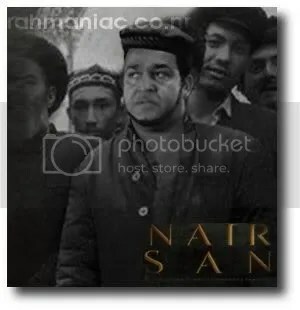 The movie tells the story of freedom fighter Nairsan (Mohanlal) who fought against British colonialism in Japan. Jackie Chan will be seen fighting along side Nairsan in his war against colonialism. The movie, which will be conceived in a historical fiction format, will feature two Japanese and one Mongolian song. 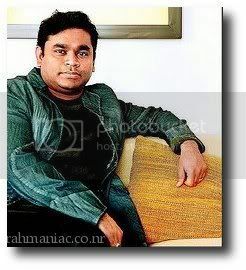 A R Rahman, one of India’s greatest composers of all time, will be handling the music department. Though a period drama, the movie will be made keeping the commercial aspects in mind. Production cost is estimated to cross INR 60 crores ($15 million). Director Albert who made the critically acclaimed Indian cinema “Kanne Madanguka” will handle the story and direction. Actor Mohanlal is said to be very much thrilled about his character. father and malayalee mother. He was born and bought up in Trivandrum, Kerala, India. Even during school days, Nairsan and his friends fought against the British rule in India. Later he was forced to leave to Japan via Sri Lanka and continued the fight against British rule from there. “My parents have actually met Nairsan in person. He used to live in Poojappura which is near my home”, said a thrilled Mohanlal. The movie will cover Nairsan’s entire Japanese episode and will feature his sincere attempts to overthrow the British government. The entire screenplay in English is ready. Works on Japanese translation is progressing fast. Mohanlal has alloted a total of 125 days for the movie. Nairsan will have a world-wide release. In Asia the movie will be in Japanese while it will be dubbed in English for other parts of the world. Jackie Chan will join for a 15 day shoot starting September 1st. How did Jackie Chan become part of the project? I contacted Jackie Chan’s office in Japan. They asked me to mail the basic concept of the story. What really attracted me to the story was the struggle the Asians under-went, in their attempt to get freed from British colonial rule. Did you meet Jackie Chan in person? Yes I did. And he thanked me for making him part of such an ambitious project. Jackie’s role will be that of a saviour who helps Nairsan during the fight in the Mongolian desert. Dats super kewl! with so much hoopla about bollywood going places and our stars getting international recognition, its a pity such monumental break for mohanlal and AR Rehman is going unnoticed. This is so cool,After Yodha the two persons i love the most coming together..I cant wait For the Movie and the Music! that a great news for all, when 3 super heros joins ……………………. Why producer taking risks to make Mohanlal the funny watermelon who forgets the tips of acting…. still his mallu fans call him the master but i watched his AAg… he will make other languages worse… it was pathetic when i heard him taking even hindi. Sorry to say this…ur selection of actors itself is pathetic them hw can u compare amir or shah ruk with legendary actor Mohanlal…. Dude watch his malayalam films not his Hindi…. He is one among the only actor who is awarded four National awards, Bharath award, Lt. Colonel, and he has more than 60 awards in his list…. Dude the so called Hindi films mostly are copies from Malayalam, Tamil and Bengali…..
Kamal Hassan or Vikram can handle this role more better…. Please don’t waste ur good music for a flop movie. Please shut up, fool, why don’t you suicide…… crack…..
i think u hadnt seen mohanlal’s any film…he s de best actor in indian cinema…had u seen iruvar? ?had u seen vanaprashtham…. dnt shout without knowing de facts…ur words says that u know nothing about indian cinema and nothin abt acting..
Aamir khan n sharukh khan r talented than Mohanlal!! !good joke…. You northindian idiots can’t reailize the talent.. for that it requires some intellect.. so all i have to say is the entire bollywood is nothing comared with this single actor.. no one there can reach his potential…. One must see his classic films (and not flops) to estimate that….. Being a North Indian , I can’t see any of his film.. This seems to be a magnum opus as far as a Mallu cinema is concerned, but it should be a universal movie. Many of non keralites have seen only the Flops or the recent films of Mohanlal. Whne you get a chance do watch his classics. He is a 3 time National awrds winner dude. He is one of the finest actors of inidan cinema. Aamir and Shahrukh may be mega stars, but they cant be compared to the acting talent of Mohanlal. I would not be exagerating, if i say that he was born in the wrong part of the world, if he was in west and was in movies there, he would be in the range of Robert denoro, or Al pacino. Best of luck for ARR,Jackie and Mohanalal and Gud luck and best wishes to Director Albert. i request u ppl to filter the comments submitted here! Some one making foolish and pathetic comments on a great actor like Padmasree Bharat Mohanlal, who’s acting talent has amazed the whole world and is appreciated by the greats in this industry, does no good to such a website..
Dear mr, if u dont knw about someone, dont knw about the talent one holds, dont waste ur valuable time in commenting on him. Because u doesnt deserve to say a word on him. You were saying about Kamal Hassan n Vikram! Kamal Hassan is of course a great actor indian cinema has ever seen. Now as u used the Vikrams name, you better ask Vikram about Mohanlal. Vikram himself wil bow down infront of Mohanlal. Since it is the cyber world, u can make ur idiotic comments without any worries.. If u used ur pathetic tongue to say a word on him in South India……..man…………..He he…no words to describe ur situation!! MANIRATNAM:Hereafter i will not work with this man whom i am a fan.I often forgot to say even cut during the shoot of iruvar. Sivaji Ganesan:I would like to have a son like him..
P.Vasu:SOUTH iNDIAS bEST.when Prabhu told me that he is going to act in kalapani isaid beware of MOHANLAL.He will gulp you in screen with his talent. Late Kannada Actor Rajkumar And the guinnes record holder prem nazir were his fans. BIG B:He is a very fine actor. NOW WHAT WILL YOU SAY GUYS? Mr. Rohit the nasty little pig-worthy of calling him has been jealous through out his years. He knows the true calibre of Lal and has been quibbled and vomitted something in the blog. Though Rajini is a very good actor; by drawing his name into as a fine actor by Rohit vindicates that he has a shallow knowledge in Malayalam. it is not the job of director to bring out natural expression its the actor’s and since Lal being a spontaneous actor, director has no role…..
this is the first time i came to know abt this blog. thnx a lot to google. Also to the guys working on this site. well regarding mr. rohith, i think it is just fine to ignore poor little boy.He may have been hungry while commenting. just a feeding bottle will do good. I am a basically from north east.and i have watched a lot of mohanlal ad mamooty films through my friends. I agree tht they won’t look like the khanni,john abraham physic.But i must say tht he is one of the finest actors ever born in india (no i am not comparing with any other actors). I studied an NIT calicut. and i used to hate malayalam movies a lot. it was one of the finest movie i have ever seen.chandramukhi and the hindi version doesn’t deserve a comparison with it. Now, south are my favorites.i download all the movies which my friends refer to. oops!! this blog is based on a r rahman and i am talking abt malayalam films.sorry guys!! I wish you all the peoples working on this site all the best and keep it ever growing. I also wish all the cast and crew of nairsan a successful project. sorry for the typo regarding. btw i wanted to ask abt the reviews for ada. never heard it much in media. I pit u mr ROHIT , u dont have eyes? MANIRATNAM:Hereafter i will not work with this man whom i am a fan.I often forgot to say even cut during the shoot of “iruvar”. RAM GOPAL VARMA:Really amazing artist.I cant explain what kind of perfomance he made in aag.He is the Indian Robert De Niro..
TIME MAGAZINE:India’s answer to Marlion Brando. AMITABH BACHCHAN:He is a very fine actor. KAMAL HASSAN:Bollywood needs guy like him who is very flexible. VENU NAGAVALLY:He is my weakness. P.VASU:When actor Prabhu said me that he is going to act with MOHANLAL in “Kaalapani”,I said him that ‘Beware of Mohanlal..He will gulp you in screen with his perfomance’. VIVEK OBEROI: I lost my dialogues when i watched his balance between dialogues and actions during the shooting of company.And Ramu go for another take. AISHWARYA RAI:I gave my dates for my first film “Iruvar” is only because of Mohanlals presence in the film. Director MANIRATNAM used to never direct MOHANLAL ,Because after every shot he used to feel that this person can do even better” That is mohanlal’s aura. The National Drama Institute invited him to do a play for them . Shahrukh and john abraham wouldnt be even allowed to enter the gates. Mohan Lal (laletan) is the best actor the country has ever pdoduced. no other bollywood actors got chance to work with jackie chan so ther is something special in him.Please watch his movies. Ayeee Rohit…………….What do you know bout acting?…..U have seen some choclate heroes like sharukh khan,aamir khan and salman khan or other types who keeps on walking in slow motion throughout the film like john abraham……………there is no one in bollywood who can stand upto a talent like mohanlal…….He is a born talent and a gift in form of an actor that Indian film industry has got…………Just see some movies from him(Vanaprastham,Bharatham,Kirredom,Dasharatham,Killukam………….The List Continues) and talk………………..
well i heard some one comparing mohanlal with hindi superstars..
Plz leav Rohit. I hop he got a clear picture by dis time. Plz dnt fight coz of his silly comment. Mohanlal’s talent is wellknown. It cant b changed by some ignorant person commenting on him. He doest know about Mohanlal. Friends, acting is different. Its not just looks. But Im not comparing anyone. All r having some good sides. Plz close this issue here. Lets dont hurt anyone. if i am getting a chnace to see this ROHIT , i vl kill tht nasty pig …. i feel pity of you. you don’t know nothing about acting. you’ve only seen chocolate heroes. you must watch movies of mohanlal. he is a mastero in this art. there are only 2 complete actors in india. they are KAMAL HASSAN nd MOHANLAL. THE only capable actor i’ve seen in bollywood is AMEER KHAN. HE HAS GOT good style of acting. if i am getting chance to meet, you i’ll make you understand who all are the best actors in india. Leave that ugly pig rohit… i feel pity abt him..
We kno Lal is “LAL”. Thats it!! hey rohit bache,u relly need to hear wht all d famous personalities said abt Mohanlal……. !being a north indian i hadnt any chance to see his film,bt after reachin chennai for my graduation,i found iruvar and wht to say he is simply amzing,just lives as character.blive no one can b compared to him! 3 pillars of indian film industry! AMITABH jI,KAMAL HASAN and MOHAN LAL!!!! Mr. Rohith go and hide some where, If I get you in my hands, I will kill you for sure. So, if you have understood what Mohanlal is , pl;ease come and say a sorry. For Every On Who Dont Know about Indias Greatest ever acting phenomenon. I AM MANU WRITING FOR YOU PEOPLE…. 4 times….No other actors in India has done so. He has performed a full sanskrit drama [KARNABHARAM] byhearting within one week and performed in DELHI and MUMBAI. famous…He has also written a book called SAMMOHAM. YOUR DOUBTS ABOUT THIS MASTERO…. dont judge a malayalam actor by watching his flop hindi movie . i dont know how you can compare john , salman , shahrukh , vijay and vikram with mohanlal . if any indian actor can be compared with mohanlal’s talent it’s Kamal Hassan . leave this kid rohit i think he hasn’t watched good movies at all. I think that it will be a huge flope evertime history of International fil history. For discuss about NAIR SAN an never unshouted film. Atlast i am very happy to see all my mallu frnds supporting our great actor without ignoring rohits comments. This is what i call unity. Happy to see this. Stick on to what ever you say till the end of this blog or wtt evr. (all this for my dear mallu rascals). For sure rohit is on drugs or else he wont make himself a fool commenting about a great actor like Mohanlal- our lalettan.Yes its true amir khan, srk, vikram, rajani, etc are all famous and can suite themselves for the role of Nairsan. But the film demands acting and that can only be done by one gr8 actor and that is Mohanlal-our lalettan. Heard comments like watermelon blah blah blah… hehehhehe acting is not based on looks, its based on expressions and Mohanlal – our lalettan is the example. The God of acting. Lalism. Guys i’m a fan of indian cinema.. yes i’ve watched lot of mr. mohanlal’s movie. it’s pretty good.. and i’ve watched his remake movies as well..Yeah of course he deserves Finest actor in india award.